There are dozens of places to choose from for a fish fry in the Stevens Point Area. For a twist on the classics, head to Point After Pub & Grill where you can choose from beer-battered, seasoned & breaded, or pan-fried fish. Or, you can up your fish fry game with their local favorite, the fish Reuben. 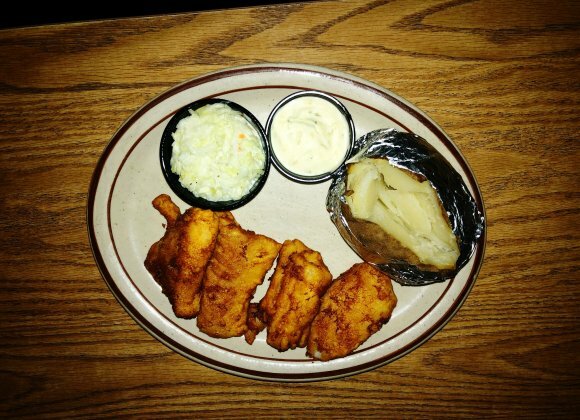 Speaking of local favorites, Jordan Bar was recently voted as the #1 spot for a Fish Fry in the Stevens Point Area. 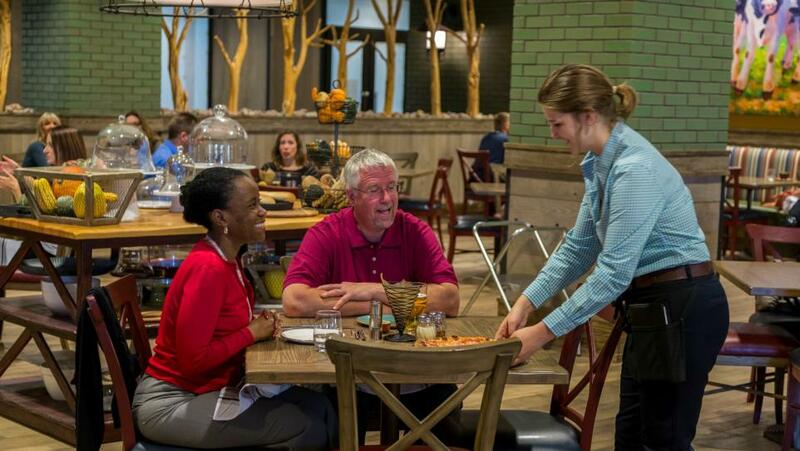 For more local favorites, don&apos;t miss PJ&apos;s Restaurant, where you can grab the Blue Plate special on Friday. Downtown, head to Guu&apos;s On Main for hand dipped and hand battered deliciousness paired with specialty sauces. If you&apos;re craving a fish fry any day of the week, Hilltop Pub and Ambrosia&apos;s have you covered. Hilltop has been serving their famous fish fry for more than 30 years with local favorites including Cod and Walleye. Or, head to Amherst for the tried and true Ambrosia&apos;s Pub and Grill for a fish fry that is so good, it doesn&apos;t have to wait until Friday. Looking for a tasty local beverage to pair with your fish fry? Don&apos;t miss sampling some of the varieties of Point Brewery, on tap at Main Street Taps, Mikeys Bar and Grill, Rookies Sports Bar, and more! Or, for a local brew straight from the source, check out the Tap House at O&apos;so Brewing Company in Plover or the tap room at Central Waters Brewing Company in Amherst. The purse (1) can be found at Girls in Pearls. 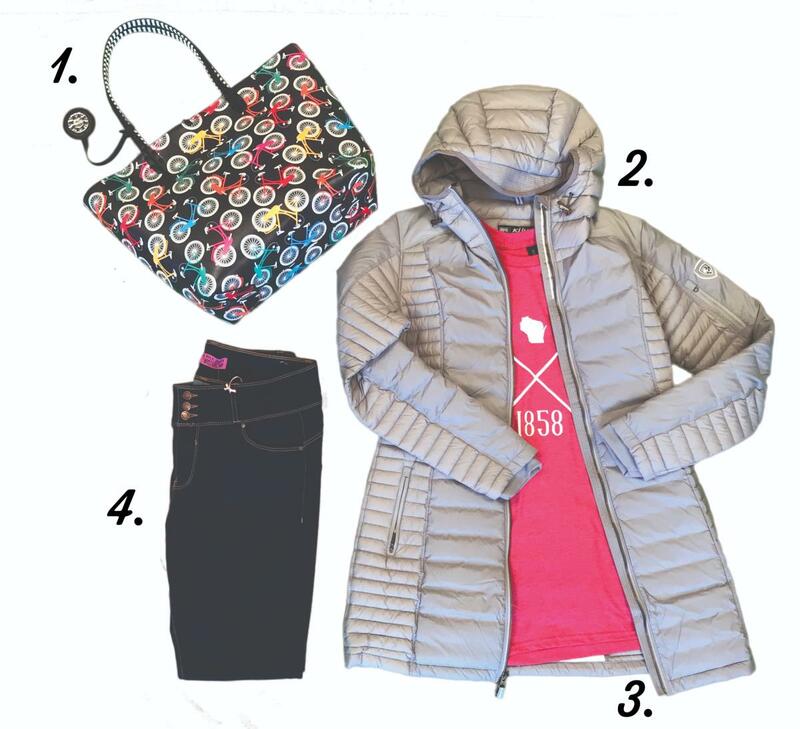 The jacket (2) is from Hostel Shoppe. The t-shirt (3) was found at Agora. The jeans (4) are from Real Deals. 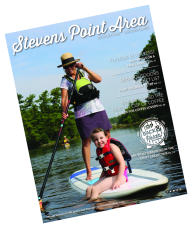 Find more dining options in the Stevens Point Area. Explore the Central Wisconsin Craft Collective for tasty sips, and find more about the local shopping scene to find your Stevens Point Area style. Need more fish fry inspiration?